Rich medium highly suitable for the culture of fastidious bacteria, especially with the addition of blood. The medium can be made selective for various groups of organisms, by the addition of colistin and nalidixic-acid for staphylococci and streptococci. By adding 10% blood and heating at 80°C until blood is chocolated, Haemophilus influenzae and Neisseria species can be efficiently cultivated. 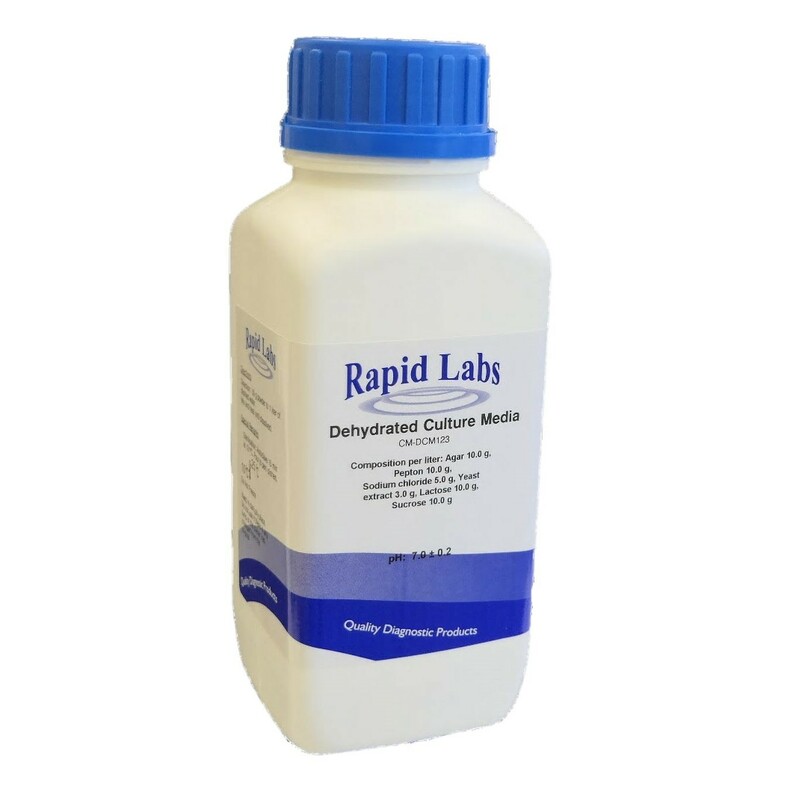 Add 40.5 grams of dehydrated culture medium to 1 litre of distilled water. Bring to the boil until completely dissolved then sterilise by autoclaving for 15 minutes at 121°C. Cool to 48°C and add 5-10% sterile, defibrinated horse or sheep blood. Mix well before pouring. Dehydrated medium: homogeneous, fine, beige powder. Ready to use medium: opaque red agar when blood added. Dehydrated medium should be stored between 10 to 25°C. Once opened, place the container in a dark, dry place. The dehydrated medium should not be used if there is any lump or if colour has changed from the original.